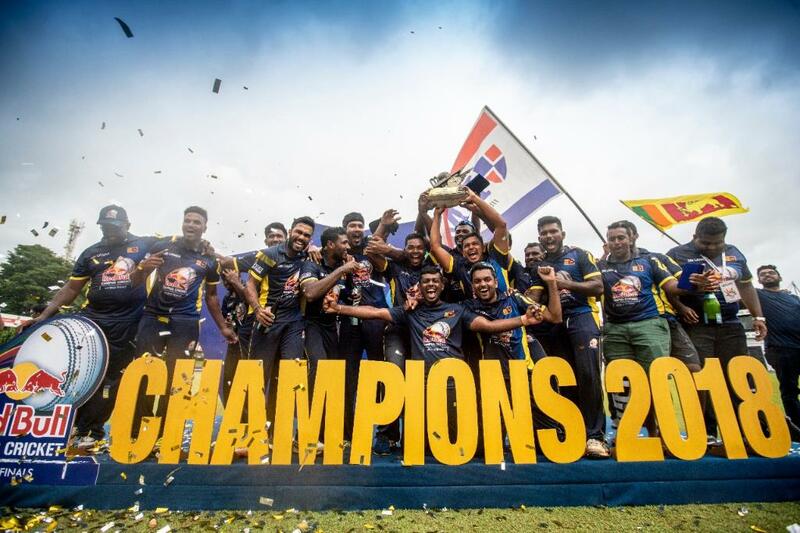 Sri Lanka WON RED BULL CAMPUS CRICKET 2018 - WORLD FINALS ! Sri Lanka won Red Bull Campus Cricket 2018 -World Final beating India by 4 wickets. Sri Lanka team the toss and decided to field first, India made 211/2 (20 ov) Murtaza Shabbir 76*, Yash Nahar 58, Divyang Hingekar 46*. Sri Lanka chased the target and made 212/6 (20 ov). Dineth Thimodya 54, Supeshala Jayathilake 29, Hashan Dumindu 28, Ranitha Liyanarachchi 26*, Koshan Danushka 21, Rohan Damle 4/30. The Red Bull Campus Cricket 2018 – World Finals played between unbeaten India and hosts Sri Lanka at SSC Grounds, Colombo.